Gone are the days when updating your bathroom meant you had a major renovation job on your hands. Home owners now have an attractive alternative to bathroom renovations that completely transforms your old bath, hand basin, shower base, and wall tiles and still saves you as much as 70% of a tradional rip out and replace renovation costs. You don't have to move or change fixtures or fittings. You don't have to employ plumbers, carpenters or tilers. 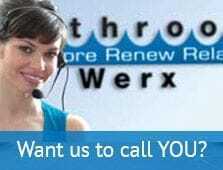 Bathroom Werx sends in trained specialist Technicians who re-enamel your bath - and other units -on the spot, without mess, in the decorator colour of your choice. In 24 hours you can enjoy and use a bathroom that looks and feels like brand new - all without costing you the earth. They also repair chips in your old enamelled surfaces, remove rust and polish away ugly old water stains. 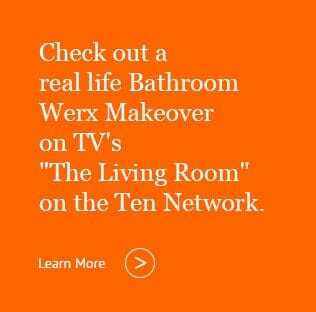 Bathroom Werx covers all of their materials and workmanship with a 7 Year written guarantee. That's better than you get when you buy new fittings these days.